NICE has made a significant investment into AI and ML techniques that are embedded into its core workforce management solution, NICE WFM. Recent advancements include learning models that find hidden patterns in the historical data used to generate forecasts for volume and work time. NICE WFM also has an AI tool that determines, from a series of more than 40 models, which single model will produce the best results for each work type being forecasted. 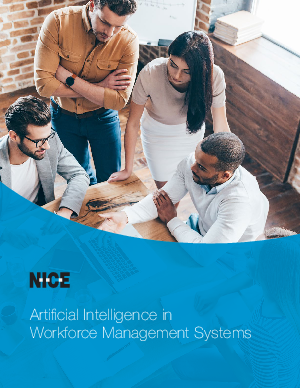 NICE has also included machine learning in its scheduling processes which are discussed at length in this white paper.